A powerful combination of agriculture and food system courses at CASNR along with business courses taken on City Campus. Agriculture is the cornerstone of the program, enhanced with decision-making, management and strategic skills required in today's global marketplace. There is plenty of opportunity to connect with agribusiness leaders—and to choose courses that prepare you for your specific career interests. Understanding the "numbers" of agriculture is critical to decision making, performance and profitability, whether it's in world trade, agribusiness marketing, risk management, ag policy development, commodity marketing, ag lending or managing an agricultural enterprise. 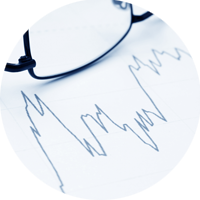 Options available in farm and ranch management, public policy, quantitative analysis and general ag economics. Agriculture needs inspiring teachers and leaders—and this is where they come from. You'll develop the technical skills and gain the real-world experience you need to share your enthusiasm and knowledge with others—either in the classroom or as a leadership or training professional in agribusiness. 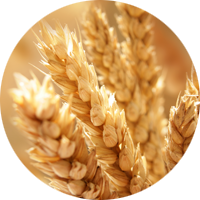 You'll be exposed to the diversity and breadth of agriculture and learn how to pass that understanding along to others. Prepare for a career in communication, advocacy, and public service in the agricultural, natural resources and environmental science disciplines. You'll be prepared to communicate valuable information to a variety of audiences to engage in public discussions related to food, fuel, water, landscapes and people. Choose courses in agriculture, natural resources and environmental science and learn how to combine that knowledge with world-class communication skills to pursue a career that ignites your passion. Acquire the core competencies of professional communicators and the strategies most effective in communicating complex and technical information to a variety of audiences. Agronomists help develop and grow the plants and design integrated systems that the world will need for its food, fuel, and fiber. 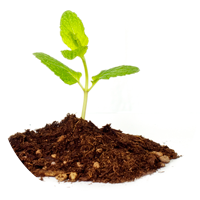 They manage soil to enhance its quality for multiple uses from crop production to storing water and carbon. 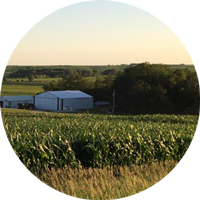 Careers can be found working with crop producers, in sales of agronomic products, in laboratories, with state or federal agencies, and in international agricultural development. Options within the major can specialize your education to best prepare you for any of these dynamic careers and more. Study animals and their contributions to our health, nutrition, economic success and overall quality of life. You'll get the basics in animal biology, nutrition, physiology, reproduction and ethical management. Then you can focus on animal biology, animal production and management, business, companion animal science, equine sciences, meat science or veterinary animal sciences. Graduates are on the job in production animal agriculture, agribusiness, animal nutrition, food processing, and animal care. 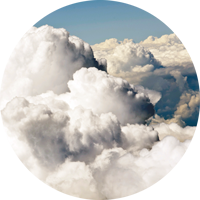 Climate impacts society as well as agricultural and natural resource systems. You can explore trends in climate and learn to forecast major long-term change while networking with nationally and internationally recognized faculty and staff. 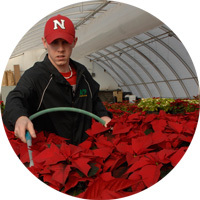 You can also gain hands-on experience with climate oriented centers on campus as you prepare for a career in agribusiness, environmental consulting, planning, and governmental agencies. An extremely flexible and diverse program that allows you to choose more than 50% of the courses you take as electives, so you can tailor your degree to your career goals. Your course work is centered on science, agriculture and natural resources with a wide range of options including ecology, food genetics, entrepreneurship, economics, policy, animal science, and plant science. Or combine a number of these disciplines to create a unique degree that gets you where you want to go. Study chemical reactions within a living cell—the molecules that make up life and how living things work. 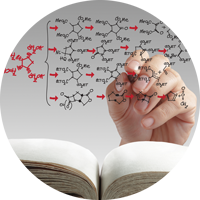 Biochemistry is needed to develop medicines, new foods and other innovations required to feed and fuel the world. 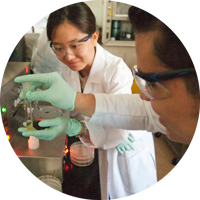 Many students conduct research in faculty labs and have contributed to solutions in disease, plant engineering, biofuel development and other key areas. 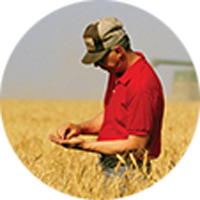 Graduates have entered a wide range of careers from healthcare to agriculture. Ecosystems damaged by human impact or natural causes create complex challenges that require a holistic understanding of soil, water, regulations, wildlife habitat, toxicology and restoration and recovery strategies. 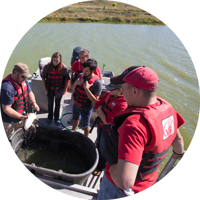 If you're interested in "saving the planet", consider this program which combines classroom science and in-field study with options in Soil Science or Lake and Stream Restoration. Human impact on the environment, climate change, access to water, conservation of resources and ecosystems, and sustainability are critical concerns on both a local and global scale. This holistic, broad-based program combines physical, biological and social sciences with cross-interdisciplinary study. When you graduate, you'll be ready to make a difference so that future generations have adequate resources and a healthy environment. Conserving and managing habitat and populations of wildlife—fish, amphibians, reptiles, birds and mammals—is the focus of this program. In-the-field work helps you apply concepts in hydrology, statistics, biology, ecology, and geospatial information science to formulate strategies and make decisions that have a profound effect on the biodiversity of our planet. 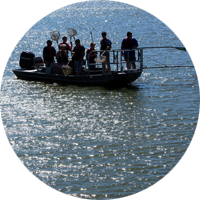 A passion for the outdoors is a prerequisite for this program. 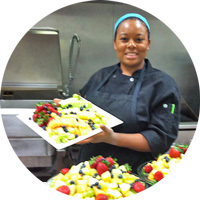 Join the industry that helps ensure a safe, nutritious and wide variety of food choices for consumers. Combining biological sciences, physical science, food science, math, and social sciences, this program covers it all—from commodity processing to quality assurance to food chemistry to packaging. Technical electives allow you to focus on specific interests such as food engineering, product development and processing plant management. 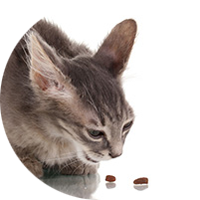 From dogs and cats to birds and reptiles, companion animals have specific nutritional and physiological requirements. This unique program combines Food Science and Animal Science courses and can prepare you for areas such as research, product development, quality assurance, product safety and other careers in a high-growth global industry. Forensic Science is the application of science and technology to facilitate justice for all members of society. 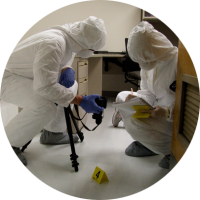 Three primary options are available: Crime Scene Investigation prepares you to collect, preserve, and interpret physical evidence and conduct a forensic investigation. 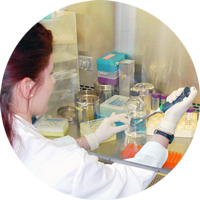 Forensic Biology is an introduction to forensic serology and DNA techniques currently used in operational crime laboratories. Forensic Chemistry focuses on techniques for chemical analysis of forensically important materials and non-biological evidence. 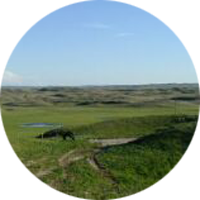 Learn to manage and sustain private and public grasslands through integrated study of soil and water, wildlife, rangelands, geospatial technologies, and natural resources policy and economics. 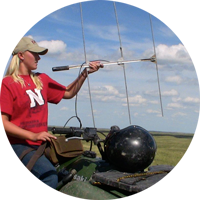 The program provides a strong background in plant and physical sciences as well as ecology, natural resources, and in-the-field experiences that prepare you for work with federal and state agencies, private conservation groups, and other organizations responsible for managing diverse grasslands. 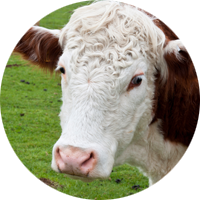 An integrated systems approach to the management of forage-based livestock production. The program combines forage and range science, animal science and management economics to provide a strong foundation for decision-making and long-term stewardship of grazing operations. The emphasis is on production systems that optimize economic returns while properly managing livestock and natural resources. Study the art and science of growing plants such as fruits, vegetables, flowers, trees, shrubs and ornamental grasses to sustain human diets and our living environment. 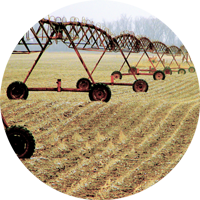 This field typically requires more intensive management than large-scale agronomic production. You can choose an emphasis in landscape design, entrepreneurship, sustainable food production, plant science or horticulture crop production. Every hotel, convention center, food service, and tourism organization needs talented, energetic and people-oriented professionals. You might want to open your own restaurant or bed and breakfast. Offered jointly through CASNR and the College of Education & Human Sciences, this program offers options in food and beverage,lodging,convention and meeting planning, and tourism. The study of the most abundant creatures on earth. Insects have a direct effect on our ability to produce food, maintain biological diversity and maintain the overall health of plants, animals and humans. 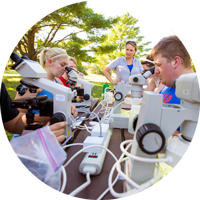 From integrated pest management for crop protection to public health concerns to crime scene investigation to environmental issues, this program provides a variety of options to match your interests and career path. 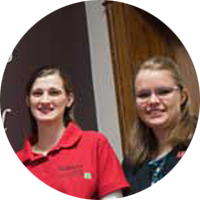 Offers students the opportunity to design their own degree program. As an alternative to traditional majors, this individualized program of study allows students to pursue their academic and professional goals in concentration areas not available within existing departmental curricula. 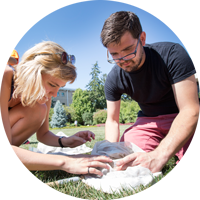 With the mentoring of a faculty advisory committee, students focus their degree and select courses across multiple concentration areas to create an individualized and interdisciplinary program of study. Microbiology looks at how microbes affect human and animal health, our environment, food technology and safety, and the biotechnology industry. The vast amount of science course work serves as excellent preparation for many careers as well as veterinary and medical programs. 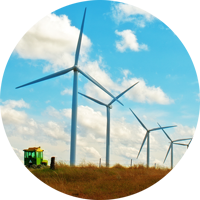 This program is focused on the business side of natural resources—the legal, political, economic and social aspects of managing our land, water and air. You'll assess public policy governing issues such as logging, mining, habitat restoration, agricultural production, industry and recreational use. This program combines work in agricultural economics with courses in the School of Natural Resources to create a dynamic educational experience in a fast-growing career area. Learn about plants at every level—molecular, cellular, organismal, systemic and ecological—in a discipline directly related to food, feed, fuel, and fiber. You might also get involved with horticultural and ornamental plants. 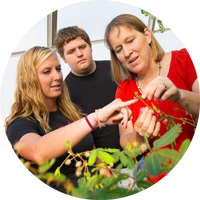 A degree in Plant Biology can qualify you for a wide range of careers including plant breeding, genetic engineering, plant research, field biology, horticulture, and more. You can choose an emphasis of Biotechnology or Ecology & Management, and tailor your course work to align with your talents and interests. 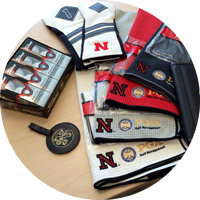 One of the nation's few golf management programs accredited by the Professional Golfers' Association (PGA) of America. Graduate and become a card-carrying PGA Member eligible to be a teaching professional, golf course manager, tournament director, coach or sales representative within the golf industry. Learn the management side of the business of golf, improve your playing skills, and enjoy great internships across the nation. Turn the game you love into a career you love! You could be responsible for maintaining the health and appearance of a public garden, golf course, sports field, or residential and commercial lawns and grounds. It takes an understanding of design intent and client expectations, water, plants, soils, and landscape pests and disease, as well as business, people and time management skills—exactly the education you receive in this program. Two options are available: Turfgrass Management or Landscape Management. A bachelor's degree in veterinary science provides a broad, science-focused education for a career in veterinary research, animal health, or diagnostics. You'll study microbiology, virology, pathology, immunology, toxicology, biochemistry and other disciplines related to the health and care of diverse animal species. 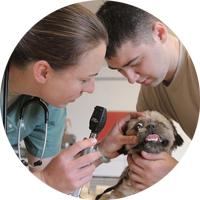 Prepare for admission to any veterinary school that is accredited by the American Veterinary Medicine Association (AVMA). Water seems pretty basic, but the science, policy and management of water are increasingly complex. You'll analyze the wide range of demands on water resources from irrigation and industry to recreation to wildlife, and how competing interests are affecting the quantity and quality of surface and ground waters and the ecosystem benefits they provide. 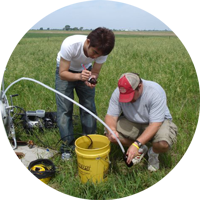 If you're interested in the management of surface and groundwater resources, policies affecting its use and the sustainability of this precious resource, this program is for you. Some students are unsure of which degree program to choose when entering the university. 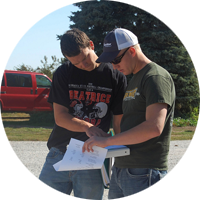 The General-CASNR program is the perfect option for students who are still deciding. 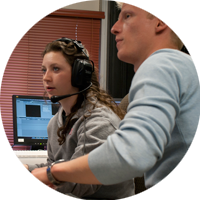 You'll take courses that provide maximum flexibility while ensuring they contribute to any of the degree programs within the college as well as most at UNL. 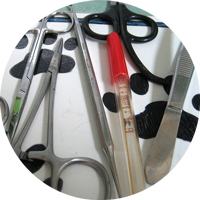 If you want to become a Doctor of Veterinary Medicine (DVM), you should begin in the Pre-Veterinary Medicine (Pre-Vet) program. 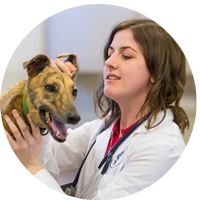 Select the best undergraduate program for you as you prepare for admission to any veterinary school that is accredited by the American Veterinary Medicine Association (AVMA). 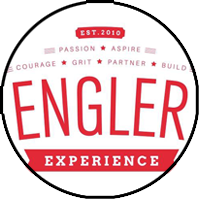 The Engler Agribusiness Entrepreneurship Program is focused on helping you transform the resources of our nation's strength in agriculture into the next big idea. Your idea that will solve a problem. Open a new door. Fill a hungry stomach. Create a new product. Grow more food with fewer resources. You could be the one to turn an idea into an enterprise. Our job is to give you the skills, inspiration and fortitude to make that happen.